Picture this: breathing in crisp Colorado mountain air, leaves in every shade of green, orange, yellow and red surrounding you and your family cruising in style next to the Arkansas River in a Polaris RZR or Slingshot. Sound too good to be true? Think again. Buena Vista is one of the best places to take a weekend trip with the family and view the changing of seasons. The Autumn colors in Buena Vista usually peak in mid-September through early October. A word of advice: the aspen trees higher in elevation peak first with the lower areas along the Arkansas River changing colors a couple of weeks after. Cottonwood Pass – 12,000+ feet up on the Continental divide, this pass will make you feel as if you were on top of the world. 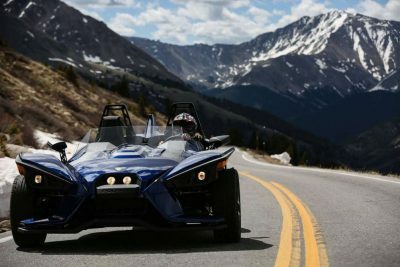 It is one of the best scenic drives near Buena Vista, especially when riding in a Polaris Slingshot. If you’re looking to step out and explore on foot, this pass leads you to numerous hiking trails like Denny Creek Trail, Ptarmigan Lake and the Colorado Trail. Cottonwood Lake – Watch the fall foliage reflect off of Cottonwood Lake as you embark on a kayak adventure with your family. River Runners rents out kayaks and SUPs, giving you and your family a whole new viewing experience and an Instagram-worthy photo. Aspen Ridge – One of the most popular areas for ATVs, Jeeps, UTVs and dirt bikes, Aspen Ridge is a prime spot to expedition in a Polaris RZR and smell the fall air. Midland Hill – This is walking distance from downtown Buena Vista where you can enjoy nature at its finest and be close to the city all at the same time! 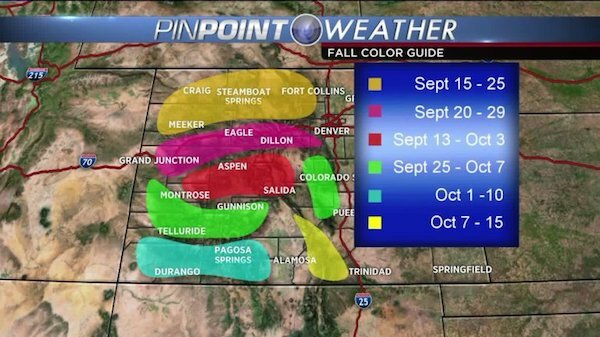 Buena Vista ATV Color Tour – The “Historical Color Tour” is an annual mountain festival that the Colorado Chamber of Commerce hosts. People come from all over the country to this off-road rally and stop by old mining sites and ghost towns. This is your golden ticket to take in all of the fall colors! Let us be your fall vacation guide! Book your end of season Polaris RZR or Slingshot ride with Adventure Hub.